Shop for AC/DC mp3s. Get AC/DC essential facts below. View Videos or join the AC/DC discussion. 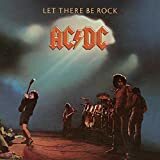 Add AC/DC to your PopFlock.com topic list for future reference or share this resource on social media. AC/DC are an Australian rock band, formed in Sydney in 1973 by brothers Malcolm and Angus Young. A hard rock/blues rock band, listeners have also classified their music as heavy metal, although they refer to themselves as "a rock and roll band, nothing more, nothing less". AC/DC underwent several line-up changes before releasing their first album, High Voltage, in 1975. 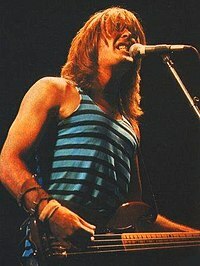 Membership subsequently stabilised until Cliff Williams replaced Mark Evans as bassist in 1977 for the album Powerage. 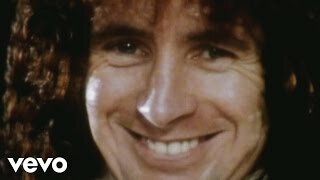 Within months of recording the album Highway to Hell, lead singer and co-songwriter Bon Scott died on 19 February 1980 after a night of heavy alcohol consumption. The group considered disbanding, but buoyed by support from Scott's parents, decided to continue and set about finding a new vocalist. 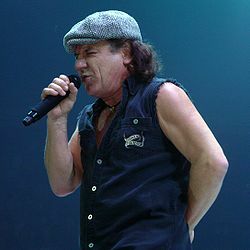 The band eventually tapped ex-Geordie singer Brian Johnson to replace Scott. Later that year, the band released the new album Back in Black, which they made in Scott's memory. The album launched them to new heights of success and became their all-time best-seller. The band's next album, For Those About to Rock We Salute You, was their first album to reach number one in the United States. 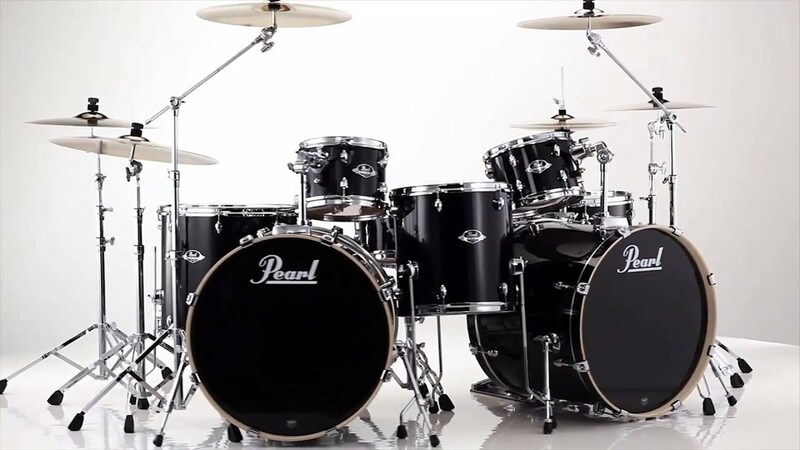 The band fired Phil Rudd as drummer in 1983, and ex-A II Z drummer Simon Wright filled in Rudd's place. In 1989, Wright would himself leave the band so he could join Dio. The band experienced a resurgence in the early 1990s with the release of The Razors Edge. 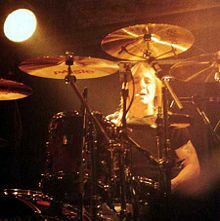 Phil Rudd returned in 1994 after Chris Slade, who had been with the band from 1989 to 1994, was asked to leave in his favour, and contributed to the band's 1995 album Ballbreaker. Stiff Upper Lip, released in 2000, was well received by critics. The band's studio album Black Ice, released in 2008, was the second highest-selling album of that year, and their biggest chart hit since For Those About to Rock, eventually reaching No.1 on all charts worldwide. The band's line-up remained the same until 2014 with Malcolm Young's retirement due to early-onset dementia and Rudd's legal troubles. In 2016, Johnson was advised to stop touring on due to worsening hearing loss, and Guns N' Roses frontman Axl Rose stepped in as the band's vocalist for the remainder of that year's dates. Long-term bass player and background vocalist Cliff Williams retired from the band at the end of their 2016 Rock or Bust world tour. AC/DC have sold more than 200 million records worldwide, including 71.5 million albums in the United States, adding them to the list of highest-certified music artists in the United States and the list of best-selling music artists.Back in Black has sold an estimated 50 million units worldwide, making it the second-highest-selling album by any artist - and the highest-selling album by any band. The album has sold 22 million units in the US, where it is the sixth-highest-selling album of all time. AC/DC ranked fourth on VH1's list of the "100 Greatest Artists of Hard Rock" and were named the seventh "Greatest Heavy Metal Band of All Time" by MTV. In 2004, AC/DC ranked No. 72 on the Rolling Stone list of the "100 Greatest Artists of All Time". Producer Rick Rubin, who wrote an essay on the band for the Rolling Stone list, referred to AC/DC as "the greatest rock and roll band of all time". In 2010, VH1 ranked AC/DC number 23 in its list of the "100 Greatest Artists of All Time". George was the first to learn to play the guitar. He became a member of the Easybeats, one of Australia's most successful bands of the 1960s. In 1966, they became the first local rock act to have an international hit, with the song "Friday on My Mind". Malcolm followed in George's footsteps by playing with a Newcastle, New South Wales, band called the Velvet Underground (not to be confused with the New York-based Velvet Underground). Their older brother Alex Young chose to remain in Britain to pursue musical interests. In 1967, Alexander formed and played bass in the London-based band Grapefruit--initially called "The Grapefruit"--with three former members of Tony Rivers and the Castaways, John Perry, Geoff Swettenham, and Pete Swettenham. 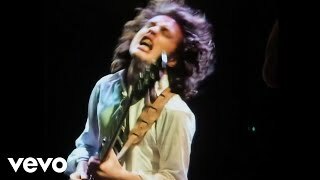 In November 1973, Malcolm and Angus Young formed AC/DC and recruited bassist Larry Van Kriedt, vocalist Dave Evans, and Colin Burgess, ex-Masters Apprentices drummer. Pushing hard for the band's success were Australia's legendary roadie Ray Arnold and his partner Alan Kissack. Gene Pierson booked the band to play at Chequers nightclub on New Year's Eve, 1973. On stage, Evans was occasionally replaced by the band's first manager, Dennis Laughlin, who was the original lead singer with Sherbet prior to Daryl Braithwaite. In Paul Stenning's book, AC/DC: Two Sides To Every Glory, it is stated that Evans did not get along with Laughlin, which also contributed to the band's ill feeling toward Evans. By the middle of 1974, the band had built up a strong live reputation which led to a support slot for the visiting Lou Reed. Some time in 1974, on the recommendation of Michael Chugg, veteran Melbourne promoter Michael Browning booked the band to play at his club, the Hard Rock. Browning had previously managed Billy Thorpe and the Aztecs, unsuccessfully trying to break them into the UK market. He did not like their glam rock image and felt that Evans was the wrong singer for the band, but was impressed by the Young brothers' guitar playing. Shortly afterwards, he received a call from the band; Laughlin had quit as manager, and they were stuck in Adelaide with no money. Browning agreed to bail them out and booked them for another gig at the Hard Rock. Following the gig, they agreed to take him on as their new manager, with the co-operation of their older brother George and Harry Vanda. The Young brothers decided to abandon the glam rock image which had already been adopted by Melbourne band The Skyhooks and pursue a harder blues-rock sound. To this end they agreed that Evans was not a suitable frontman for the group. Around this time, they also moved their base to Melbourne, where they frequently played at the Hard Rock. 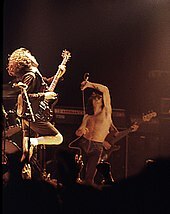 In September 1974, Ronald Belford "Bon" Scott, an experienced vocalist and friend of George Young, replaced Dave Evans after friend Vince Lovegrove recommended him to George Young. Scott's appointment coincided with him working as a chauffeur for the band at the time until an audition promoted him to lead singer. Like the Young brothers, Scott was born in Scotland and emigrated to Australia in his childhood. 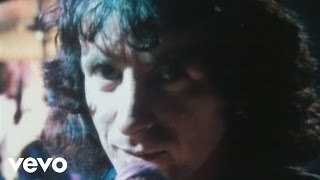 The band had recorded only one single with Evans, "Can I Sit Next To You, Girl" / "Rockin' in the Parlour"; eventually, the song was re-written and re-recorded with Bon Scott as "Can I Sit Next to You Girl" (Track 7 on the Australian album TNT (1975), and Track 6 on the international release of High Voltage (1976)). 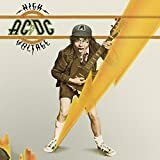 By October 1974, the Australia-only album High Voltage had been recorded. It took only ten days and was based on instrumental songs written by the Young brothers, with lyrics added by Scott. Within a few months, the band's line-up had stabilised, featuring Scott, the Young brothers, bassist Mark Evans, and drummer Phil Rudd. Later that year they released the single "It's a Long Way to the Top", for which a well-known promotional video was made for the program Countdown, featuring the band miming the song on the back of a flatbed truck. The song is regarded as their perennial rock anthem. It was included on their second album, T.N.T. (1975), which was also released only in Australia and New Zealand. T.N.T. featured the song "High Voltage", which was the first song written and recorded for the album. Because "High Voltage" was released as a single before T.N.T. was released, some people thought it was the title track to AC/DC's debut album. Browning sent promo material to contacts in London, which came to the attention of Phil Carson of Atlantic Records. In 1976, the band signed an international deal with Atlantic Records. On arrival in London, their scheduled tour with Back Street Crawler was cancelled following the death of Paul Kossoff. As a result, they went back to playing smaller venues to build a local following until their label organized the "Lock Up Your Daughters" tour sponsored by Sounds magazine, the only major music magazine which was still relatively receptive to traditional rock music. At the time, punk rock was breaking out in London and came to dominate the pages of the major music weeklies, NME and Melody Maker. 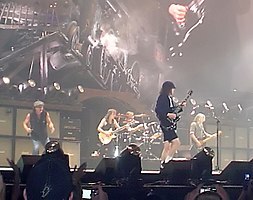 AC/DC were sometimes identified with the punk rock movement by the British press, however, in reality, they hated punk rock, believing it to be a passing fad - according to manager Michael Browning "it wasn't possible to even hold a conversation with AC/DC about punk without them getting totally pissed off". Their reputation, however, managed to survive the punk upheavals of the late 1970s, and they maintained a cult following in the UK throughout this time. 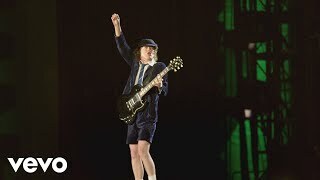 Angus Young gained notoriety for mooning the audience during live performances. 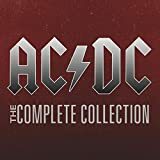 The first AC/DC album to gain worldwide distribution was a 1976 compilation of tracks taken from the High Voltage and T.N.T. LPs. Also titled High Voltage, and released on the Atlantic Records label, the album has to date sold three million copies worldwide. The track selection was heavily weighted toward the more recent T.N.T., and included only two songs from their first LP. 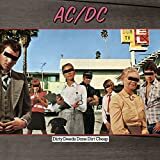 The band's next album, Dirty Deeds Done Dirt Cheap, was released in the same year in both Australian and international versions, like its predecessor. Track listings varied worldwide, and the international version of the album also featured the T.N.T. track "Rocker", which had previously not been released internationally. The original Australian version included "Jailbreak" (now more readily available on the 1984 compilation EP '74 Jailbreak or as a live version on the 1992 Live album). Dirty Deeds was not released in the US until 1981, by which time the band were at the peak of their popularity. In early 1977 they returned to Britain and began a European tour with Black Sabbath. While Bon Scott and Ozzy Osbourne quickly became friends, relations were less than cordial between the other members of the respective bands. In one incident, Geezer Butler pulled a knife on Malcolm Young. Later in the year they toured with Rainbow. Towards the end of 1977, bassist Mark Evans was fired; purportedly to find someone who could sing backup vocals. Evans described disagreement with Angus and Malcolm as a contributing factor. He was replaced by Cliff Williams. Neither of the Young brothers has elaborated on the departure of Evans, though Richard Griffiths, the CEO of Epic Records and a booking agent for AC/DC in the mid-1970s, later commented, "You knew Mark wasn't going to last, he was just too much of a nice guy." Mark Evans' autobiography, DIRTY DEEDS: My Life Inside/Outside of AC/DC, released in 2011, predominantly dealt with his time in AC/DC, including being fired. AC/DC's first American exposure was through the Michigan radio station AM 600 WTAC in 1977. The station's manager, Peter C. Cavanaugh, booked the band to play at Flint's Capitol Theater. The supporting act was MC5, who had just briefly reunited and agreed to play at the event. The band opened with their popular song "Live Wire" and closed with "It's a Long Way to the Top (If You Wanna Rock 'n' Roll)". They gained invaluable experience of the stadium circuit, supporting leading rock acts such as Aerosmith, Kiss, Styx, UFO, and Blue yster Cult, and co-headlined with Cheap Trick. The 1978 release of Powerage marked the debut of bassist Cliff Williams, and with its harder riffs, followed the blueprint set by Let There Be Rock. Only one single was released from Powerage, "Rock 'n' Roll Damnation/Sin City". An appearance at the Apollo Theatre, Glasgow during the Powerage tour was recorded and released as If You Want Blood You've Got It, featuring such songs as "Whole Lotta Rosie", "Problem Child", and "Let There Be Rock", as well as lesser-known album tracks like "Riff Raff". Powerage was the last album produced by Harry Vanda and George Young that had lead vocals by Bon Scott, and is claimed to be AC/DC's most under-rated album. The major breakthrough in the band's career came in their collaboration with producer "Mutt" Lange on the album Highway to Hell, released in 1979. Eddie Van Halen notes this to be his favourite AC/DC record, along with Powerage. It became the first AC/DC LP to break into the US top 100, eventually reaching No. 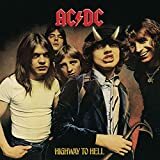 17, and it propelled AC/DC into the top ranks of hard rock acts.Highway to Hell had lyrics that shifted away from flippant and comical toward more central rock themes, putting increased emphasis on backing vocals but still featured AC/DC's signature sound: loud, simple, pounding riffs and grooving backbeats. The final track, "Night Prowler", has two breaths in quick succession at the start of the song, intended to create a tone of fear and loathing. 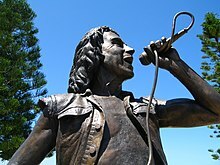 As 1980 began, the band began work on a new album that would eventually become Back in Black, but Bon Scott would not live to see it finished. On 19 February 1980, Scott passed out in the car on the way back to friend Alistair Kinnear's house after a night of heavy drinking at the Music Machine club in London. Upon arrival at his home, Kinnear was unable to move Scott from the car into his home for the night, so he left him in the car overnight to sleep off the effects of the alcohol. Unable to wake Scott late the next morning, Kinnear rushed him to King's College Hospital in Camberwell, where Scott was pronounced dead on arrival. Pulmonary aspiration of vomit was the cause of Scott's death, and the official cause was listed as "acute alcohol poisoning". Scott's family buried him in Fremantle, Western Australia, the area they emigrated to when he was a boy. 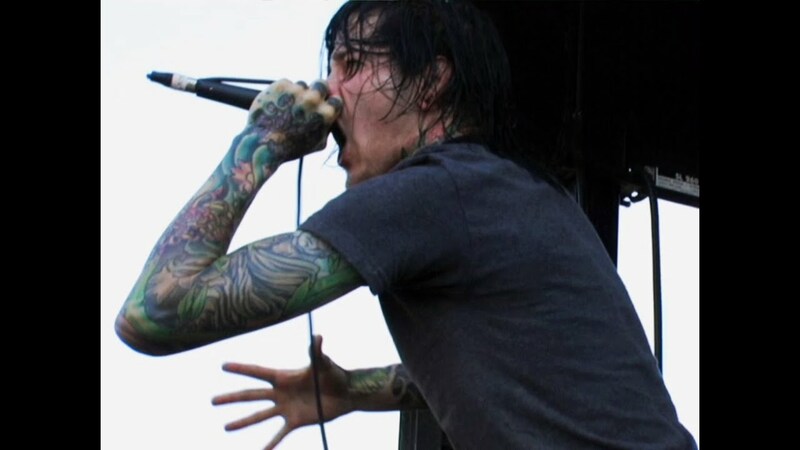 Following Scott's death the band briefly considered quitting, but encouraged by the insistence from Scott's parents that he would have wanted them to go on, they eventually decided to continue and went about finding a new frontman. Various candidates were considered for his replacement, including: Buzz Shearman, ex-Moxy member, who was not able to join because of voice problems, ex-Back Street Crawler vocalist Terry Slesser and then Slade vocalist, Noddy Holder. 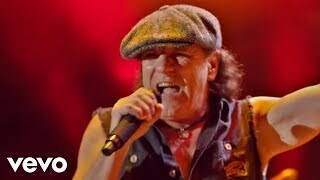 The remaining AC/DC members finally decided on ex-Geordie singer Brian Johnson. For the audition, Johnson sang "Whole Lotta Rosie" from Let There Be Rock and Ike & Tina Turner's "Nutbush City Limits". He was hired a few days after the audition. With Johnson the band completed the songwriting that they had begun with Scott for the album Back in Black. Recording took place at Compass Point Studios in The Bahamas a few months after Scott's death. 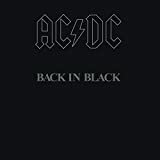 Back in Black, produced by Mutt Lange and recorded by Tony Platt, became their biggest-selling album and a hard-rock landmark; hits include "Hells Bells", "You Shook Me All Night Long", "Rock and Roll Ain't Noise Pollution" and the title track. The album reached No.1 in the UK and No.4 in the US, where it spent 131 weeks on the Billboard 200 album chart. The follow-up album, 1981's For Those About to Rock We Salute You, also sold well and was positively received by critics. The album featured two of the band's most popular singles: "Let's Get It Up" and the title track, "For Those About to Rock", which reached No.13 and No.15 in the UK, respectively. The band split with Lange for their self-produced 1983 album, Flick of the Switch, in an effort to recover the rawness and simplicity of their early albums. "Back in Black"'s riff is one of the most recognised in hard rock history. The song ranked No. 187 on Rolling Stone 's list of The 500 Greatest Songs of All Time and reached No. 37 in the US. After having problems with drugs and alcohol, drummer Phil Rudd's friendship with Malcolm Young deteriorated and eventually escalated to a physical confrontation after which Rudd was fired. Former Procol Harum drummer B.J. Wilson was drafted in to help complete the recordings, but his drum parts were eventually not used, as Rudd had already completed his drum parts. 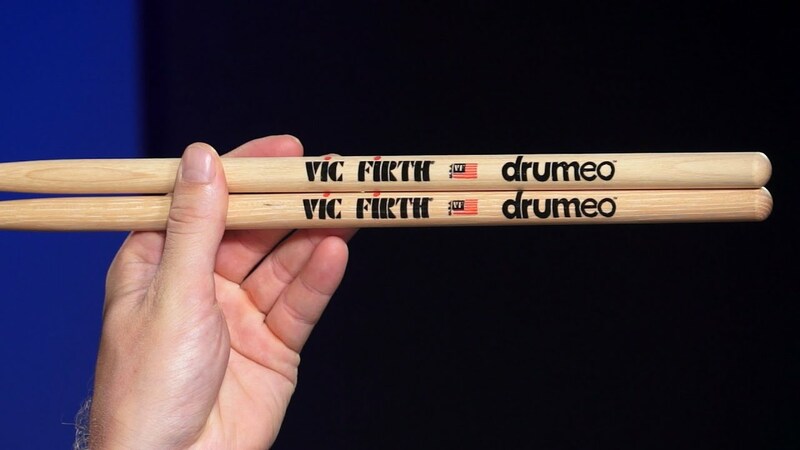 Rudd was replaced by Simon Wright in the summer of 1983 after the band held over 700 auditions in the US and UK.Simon Kirke of Free and Bad Company fame, and Paul Thompson of Roxy Music were two of the drummers auditioned. Later in the year, AC/DC released the self-produced album Flick of the Switch, which was less successful than their previous albums, and was considered underdeveloped and unmemorable. One critic stated that the band "had made the same album nine times". AC/DC were voted the eighth-biggest disappointment of the year in the 1984 Kerrang! readers' poll. However, Flick of the Switch eventually reached No. 4 on the UK charts, and AC/DC had minor success with the singles "Nervous Shakedown" and "Flick of the Switch". Fly on the Wall, produced by the Young brothers in 1985, was also regarded as uninspired and directionless. A music concept video of the same name featured the band at a bar, playing five of the album's ten songs. In 1986, the group returned to the charts with the made-for-radio "Who Made Who". The album Who Made Who was the soundtrack to Stephen King's film Maximum Overdrive; it brought together older hits, such as "You Shook Me All Night Long" and "Ride On", with newer songs such as title track "Who Made Who", and two new instrumentals, "D.T." and "Chase the Ace". AC/DC's 1988 album, Blow Up Your Video, was recorded at Studio Miraval in Le Val, France, and reunited the band with their original producers, Harry Vanda and George Young. The group recorded nineteen songs, choosing ten for the final release; though the album was later criticised for containing excessive "filler", it was a commercial success. Blow Up Your Video sold more copies than the previous two studio releases combined, reaching No. 2 on the UK charts--AC/DC's highest position since "Back in Black" in 1980. The album featured the UK top-twenty single "Heatseeker" and popular songs such as "That's the Way I Wanna Rock 'n' Roll". The Blow Up Your Video World Tour began in February 1988, in Perth, Australia. That April, following live appearances across Europe, Malcolm Young announced that he was taking time off from touring, principally to begin recovery from his alcoholism. Another member of the Young family, Stevie Young, temporarily took Malcolm's place. 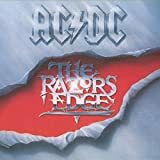 The next album, The Razors Edge, was recorded in Vancouver, British Columbia, Canada, and was mixed and engineered by Mike Fraser and produced by Bruce Fairbairn, who had previously worked with Aerosmith and Bon Jovi. Released in 1990, it was a major comeback for the band, and included the hits "Thunderstruck" and "Are You Ready", which reached No. 5 and No. 16 respectively on Billboard's Mainstream Rock Tracks Chart, and "Moneytalks", which peaked at No. 23 on the Billboard Hot 100. The album went multi-platinum and reached the US top ten. Several shows on the Razors Edge tour were recorded for the 1992 live album, titled Live. Live was produced by Fairbairn, and is considered one of the best live albums of the 1990s. AC/DC headlined the Monsters of Rock show during this tour, which was released on DVD as Live at Donington. During The Razors Edge tour three fans were killed at a concert at the Salt Palace in Salt Lake City, Utah in January 1991. When the concert began fans rushed the stage crushing the three and injuring others. It took 20 minutes before venue security and the group understood the severity of the situation and stopped the concert. AC/DC settled with the victims' families out of court. As a result of this incident, the Salt Palace eliminated festival seating from future events. A year later, AC/DC recorded "Big Gun" for the soundtrack of the Arnold Schwarzenegger movie Last Action Hero, and was released as a single, reaching No. 1 on the US Mainstream Rock chart, the band's first No. 1 single on that chart. In 1994, Angus and Malcolm invited Rudd to several jam sessions. He was eventually rehired to replace Slade, whose amicable departure arose in part because of the band's strong desire to again work with Rudd. 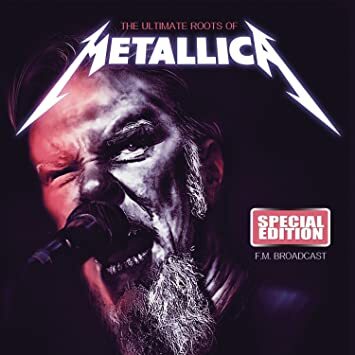 Recorded at the Ocean Way Studios in Los Angeles by the reunited 1980-83 line-up and produced by Rick Rubin, Ballbreaker was released in 1995. The first single from the album was "Hard as a Rock". Two more singles were released from the album: "Hail Caesar" and "Cover You in Oil". In 2000, the band released Stiff Upper Lip, produced by brother George Young at the Warehouse Studio, again in Vancouver. The album was better received by critics than Ballbreaker but was considered lacking in new ideas. The Australian release included a bonus disc with three promotional videos and several live performances recorded in Madrid, Spain in 1996. Stiff Upper Lip reached No.1 in five countries, including Argentina and Germany; No.2 in three countries, Spain, France and Switzerland; No.3 in Australia; No.5 in Canada and Portugal; and No.7 in Norway, the US and Hungary. The first single, "Stiff Upper Lip", remained at No.1 on the US Mainstream Rock charts for four weeks. The other singles released also did very well; "Satellite Blues" and "Safe in New York City" reached No.7 and No.31 on Billboard's Mainstream Rock Tracks, respectively. Sample of Black Ices lead single "Rock 'n' Roll Train". 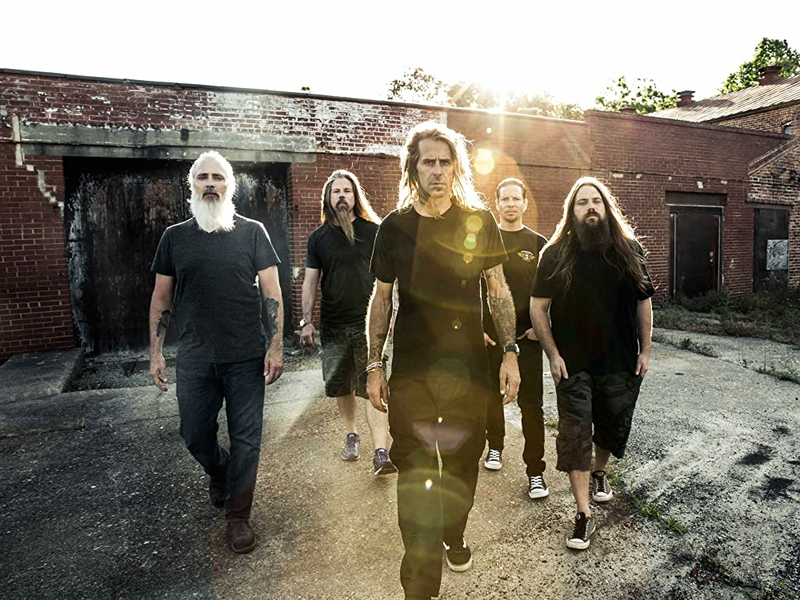 The song is built on guitar riffs and elemental drum beats, and features harmonic backing vocals during the chorus. "Rock 'n' Roll Train", the album's first single, was released to radio on 28 August. 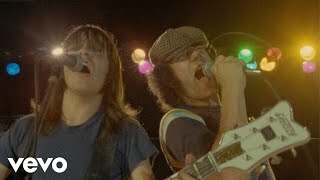 On 15 August, AC/DC recorded a video for a song from the new album in London with a special selection of fans getting the chance to be in the video. Black Ice debuted at No.1 on album charts in 29 countries and also was Columbia Records' biggest debut album (since Nielsen SoundScan began tracking sales data for Billboard in March 1991). Black Ice has been certified Multi Platinum in eight countries, including the US, Australia, Canada, Switzerland, Sweden, Norway, Germany and the Czech Republic. Additionally Black Ice has achieved Platinum status in twelve countries (Austria, Belgium, Denmark, Finland, France, Hungary, Ireland, Italy, UK, Argentina, Singapore and New Zealand) and Gold status in four countries (The Netherlands, Spain, Poland and Brazil). The 18-month Black Ice World Tour supporting the new album was announced on 11 September and began on 28 October in Wilkes-Barre, Pennsylvania. In May 2012, Malcolm Young confirmed that the band were working on a potential follow-up to 2008's Black Ice. But he warned that fans were in for a longer wait than expected, after lead singer Brian Johnson suggested there would be new material the next year. Malcolm stated, "You know what Brian's like. He just says things and then walks away. It'll be a little while - a year or two anyway. I've been doing some jamming on some song ideas but I do that all the time, as do the rest of the band. We are still working. But we had a long rest between Stiff Upper Lip and Black Ice, so I think we need a couple of years to recuperate and work on it a bit more." On 16 April 2014, in response to earlier reports that the band may be retiring due to Malcolm Young being seriously ill and unable to perform, Brian Johnson commented that AC/DC are not retiring, stating "We are definitely getting together in May in Vancouver. We're going to pick up guitars, have a plonk and see if anybody has got any tunes or ideas. If anything happens we'll record it." AC/DC subsequently announced in an official statement on their Facebook page that Malcolm Young would be taking a break from the band due to his ill health. It ended: "The band will continue to make music." In June, Johnson announced that AC/DC are "very likely" to be on the road again before the end of 2014. In July 2014, AC/DC confirmed that they had finished recording their next album and that Malcolm's nephew, Stevie Young replaced Malcolm in the studio. Drummer Phil Rudd released his first solo album, Head Job, on 29 August 2014. He confirmed that there would be another AC/DC tour, and stated that the band had no intention of retiring, adding, "We'll all have to be dead before it stops." Malcolm died on 18 November 2017 at the age of 64. On 23 September 2014, Alberts management confirmed that founder member Malcolm Young had officially departed from the band and revealed that their new record entitled Rock or Bust featuring eleven new tracks would be released on 28 November 2014 as the first AC/DC album in the band's history without Malcolm Young on the recordings. The band also announced plans for a world tour to promote the new album with Malcolm and Angus' nephew Stevie Young as Malcolm's replacement. On 7 March 2016, the band announced that the final ten dates of the Rock or Bust World Tour would be rescheduled as Johnson's doctors had ordered him to stop touring immediately, as his hearing loss had accelerated and he risked complete deafness if he persisted on the road. The ten cancelled dates would be performed "likely with a guest vocalist" later in the year, leaving Johnson's future in touring with the group uncertain. Johnson himself later stated on The Howard Stern Show that his hearing loss didn't come from having performed for 36 years with AC/DC, but rather his love of auto racing and having forgotten to put in ear plugs during one race that left him with a ruptured ear drum in his left ear. However, on 15 March 2016, American comedian Jim Breuer (a friend of Johnson) revealed on his podcast that Johnson had received a second opinion on his hearing and it was not as bad as initially thought. 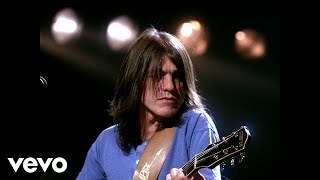 Nonetheless, Breuer mentioned that Johnson told him that he was essentially fired from AC/DC and that he hadn't heard from the band since the announcement of the tour being postponed, adding that Angus Young wants to continue the band for at least another ten years and do at least one more studio album and world tour. Breuer later clarified his comments on Facebook that did not end speculation on Johnson's future with the band. On 19 April 2016, Johnson made an official statement regarding his health problems and inability to tour. In the statement, he acknowledged his ongoing hearing difficulties but stated his intentions to continue recording and potentially resume touring if his health improves sufficiently. He also specifically thanked Angus Young and Cliff Williams for their support during his AC/DC tenure. On 8 July 2016, Cliff Williams indicated he was retiring from the band in an interview with Gulfshore Life, saying "It's been what I've known for the past 40 years, but after this tour I'm backing off of touring and recording. Losing Malcolm, the thing with Phil and now with Brian, it's a changed animal. I feel in my gut it's the right thing." At the end of the Rock or Bust Tour he released a video statement confirming his retirement. Following the band's final show with Williams on 21 September 2016 in Philadelphia it was reported that Axl Rose would be joining the band full-time and that he and Angus would continue AC/DC with different musicians. Young's friend Angry Anderson said in a 2018 interview that Young intended to make a new album with Rose. On 22 March 2000, the municipality of Legane;s (near Madrid) named a street in honour of the band as "Calle de AC/DC" ("AC/DC Street"). Malcolm and Angus attended the inauguration with many fans. Later that day, the plaque with the name of the group was stolen, perhaps by an enthusiast or collector. The plaque was replaced two hours later, and stolen once again a mere three days after the fact. The plaque had since been stolen numerous times, forcing the municipality of Legane;s to begin selling replicas of the official street plaque. In 2009 the Recording Industry Association of America upgraded the group's US sales figures from 69 million to 71 million, making AC/DC the fifth-best-selling band in US history and the tenth-best-selling artist, selling more albums than Madonna and Mariah Carey. 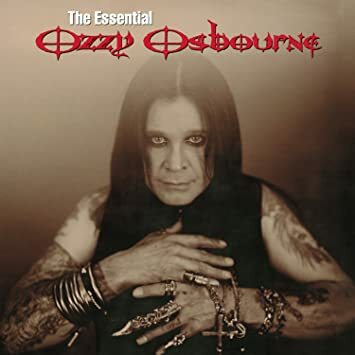 The RIAA also certified Back in Black as double Diamond (20 million) in US sales, and by 2007 the album had sold 22 million copies, which made it the fifth-best-selling album of all-time in the US. 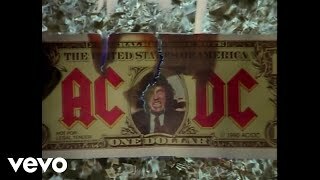 ^ a b "AC/DC 'ROCK OR BUST'". Alberts Management. Retrieved 2014. ^ Petridis, Alexis (27 October 2008). "Things really must be bad - AC/DC are No 1 again". Guardian. ^ Lee, Chris (11 April 2015). "AC/DC delivers heavy metal thunder to Coachella". Entertainment Weekly. ^ (in English) Christe, Ian. 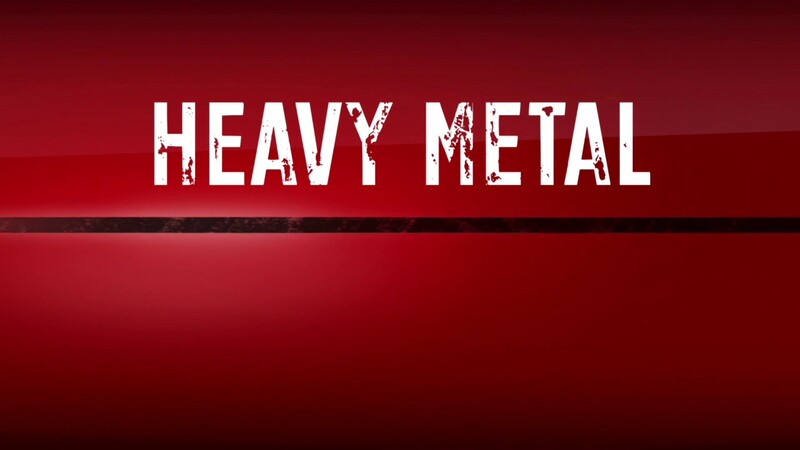 Sound of the Beast: The Complete Headbanging History of Heavy Metal. ISBN 978-0-380-81127-4. ^ (in English) The Rolling Stone Illustrated History of Rock & Roll. Random House, 1980. ISBN 0-394-73938-8. ^ Dale Hoiberg, ed. (24 September 2007). "AC/DC". Encyclopdia Britannica Ultimate Reference Suite (2008 ed.). ISBN 1-59339-292-3. ^ a b c d Engleheart, Murray (18 November 1997). 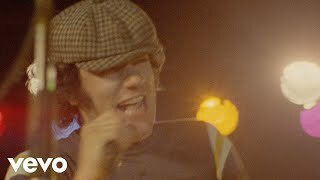 AC/DC - Bonfire. ^ a b c d e f Wall, Mick (2012). AC/DC: Hell Aint a Bad Place to Be. London: Orion Publishing group. ISBN 978-1-4091-1535-9. ^ "AC/DC Completes Recording New Album". Blabbermouth.net. 22 April 2008. Archived from the original on 24 April 2008. Retrieved 2008. ^ a b "Top Selling Artists". Recording Industry Association of America. Retrieved 2008. ^ Moran, Jonathon (7 February 2010). "Gen Y Pop Princess Taylor Swift vs Baby Boom Rockers AC/DC". The Daily Telegraph. Retrieved 2013. ^ Reporter, The Age (6 February 2010). "AC/DC ham it up". The Age. Retrieved 2013. ^ a b "Gold & Platinum". Recording Industry Association of America. Retrieved 2017. ^ "100 Greatest artists of hard rock". VH1. Archived from the original on 13 September 2008. Retrieved 2008. 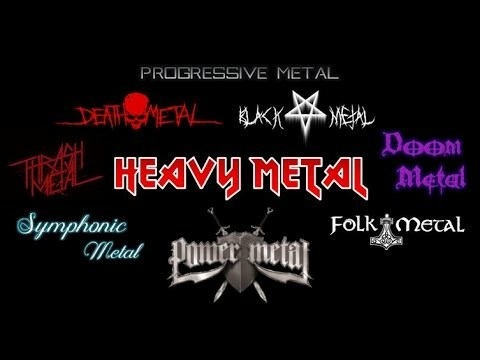 ^ "The Greatest Metal Bands of All Time". MTV. Archived from the original on 26 July 2008. Retrieved 2008. ^ "AC/DC - 100 Greatest Artists". Rolling Stone. Retrieved 2017. ^ "The Greatest Artists of All Time". VH1/Stereogum. Retrieved 2011. ^ "Item details for: A1877, May 1963 Young W". National Archive of Australia. 13 February 2009. Retrieved 2017. ^ a b "Easy Beats to AC/DC, The Story of Aussie Rock". BBC TV. Retrieved 2017. ^ Baker, Glenn A. "History of Albert Music". Albert Music. Archived from the original on 30 December 2007. Retrieved 2008. ^ a b c Walker, Clinton (2001). Highway to Hell: The Life and Times of AC/DC Legend Bon Scott. pp. 128-133. ISBN 1-891241-13-3. ^ White, Dave. "AC/DC". About.com - Classic rock. Retrieved 2008. ^ a b c d e "AC/DC History". 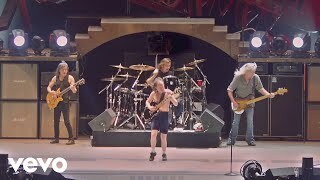 AC/DC - Bedlam in Belgium. Archived from the original on 13 September 2008. Retrieved 2008. ^ "Tracker to Acca Dacca". The Age. Melbourne, Australia. 17 May 2004. Retrieved 2008. ^ "AC/DC ACDC". Only Melbourne (onlymelbourne.com.au). 1 October 2004. pp. Melbourne, Australia. Retrieved 2008. Its now rock 'n' roll history after Melbourne discovered acca-dacca so did the rest of the world, going on to become one of the biggest bands in the world. 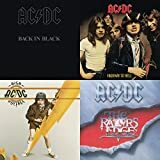 ^ "Album covers for AC/DC". Bliss. Elsten Software Limited. Retrieved 2014. ^ "Rock Snaps". Australian Broadcasting Corporation. Retrieved 2008. ^ "Long Way to the Top". Australian Broadcasting Corporation. Archived from the original on 25 July 2008. Retrieved 2008. ^ a b Stenning, Paul; Rob Johnstone (November 2005). AC/DC - Two Sides to Every Glory. Chrome Dreams. pp. 32-34. ISBN 1-84240-308-7. ^ Saulnier, Jason (3 January 2013). "Dave Evans Interview". Music Legends. Retrieved 2013. 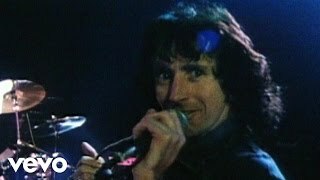 ^ "Bon Scott Interview Paris 1979". Retrieved 2017. ^ a b c d e f g "Timeline". AC/DC official website. Archived from the original on 12 June 2007. Retrieved 2008. ^ a b Boulton, Martin (10 September 2004). "Laneway to the top for AC/DC". The Age. Melbourne. Retrieved 2008. ^ Jeckell, Barry A. (7 June 2005). "Back in Black tips 21M mark". Billboard. Archived from the original on 23 June 2008. Retrieved 2008. ^ Huey, Steve. "AC/DC - High Voltage". AllMusic. Retrieved 2008. ^ "DIRTY DEEDS: My Life Inside/Outside of AC/DC, by Mark Evans". Bazillionpoints.com. Retrieved 2011. ^ "Peter Cavanaugh". Wild Wednesday. Retrieved 2008. ^ Prato, Greg. "AC/DC - Powerage". Allmusic. Retrieved 2008. ^ a b Christopher, Michael (30 June 2003). "Epic Records AC/DC Re-issues: Second Wave". PopMatters. Retrieved 2008. ^ "Eddie Van Halen Thanks God for Sobriety and Guitar Riffs". vhnd.com. 11 June 2009. Retrieved 2015. ^ Huey, Steve. "AC/DC - Highway to Hell". Allmusic. Retrieved 2008. ^ a b Jinman, Richard (19 February 2005). "25 years on, AC/DC fans recall how wild rocker met his end". The Guardian. UK. Retrieved 2008. ^ "Bon's Highway leads to the National Trust". Metropolitan Cemeteries Board. 15 February 2006. Archived from the original on 16 November 2007. Retrieved 2007. ^ Stevenson, Jane (22 November 1997). "AC/DC lights a Bonfire in tribute". Canoe JAM! music. Retrieved 2008. ^ "Moxy Bio". CANOE JAM! MUSIC - Pop Encyclopedia. ^ "Noddy Holder interview". Soundchecks.co.uk. Archived from the original on 5 April 2005. Retrieved 2011. ^ bravewords.com. "AC/DC Guitarist Angus Young Remembers Bon Scott - "When I Think Back in Hindsight, He Was A Guy That I Always Knew Was Full of Life"". Bravewords.com. Retrieved 2011. ^ a b c "EveryHit". Archived from the original on 13 September 2008. Retrieved 2008. ^ a b Huey, Steve. "AC/DC - Flick of the Switch". Allmusic. Retrieved 2008. ^ Williams, Adam (14 April 2003). "Back in Black (remastered edition)". PopMatters. Retrieved 2008. ^ Engleheart, Murray & Arnaud Durieux (2006). AC/DC: Maximum Rock & Roll. pp. 366-367. ISBN 0-7322-8383-3. ^ Fricke, David (27 October 1987). "AC/DC: Flick of the Switch". Rolling Stone. Archived from the original on 18 June 2008. Retrieved 2008. ^ Huey, Steve. "AC/DC - Fly on the Wall". Allmusic. Retrieved 2008. ^ "ARIA Icons: Hall of Fame". Australian Recording Industry Association. Archived from the original on 18 July 2008. Retrieved 2008. ^ Prato, Greg. "AC/DC - Blow Up your Video". Allmusic. Retrieved 2008. ^ Weber, Barry. 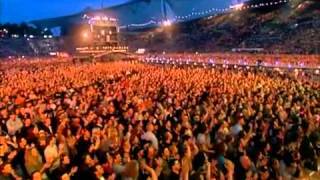 "AC/DC - AC/DC Live". Allmusic. Retrieved 2008. ^ "Boxsets". AC/DC discography. Archived from the original on 28 July 2008. Retrieved 2008. ^ Wild, David (30 March 2000). "AC/DC: Stiff Upper Lip". Rolling Stone. Archived from the original on 27 July 2008. Retrieved 2008. ^ Erlewine, Stephen Thomas. "AC/DC - Stiff Upper Lip". Allmusic. Retrieved 2008. ^ Richards, Pete (6 December 2002). "AC/DC Sign big contract with Sony". ChartAttack. Archived from the original on 21 March 2003. Retrieved 2009. ^ Rivadavia, Eduardo. "AC/DC - Discography". Allmusic. Retrieved 2008. ^ "Stones rock out at Toronto's 'biggest party'". Canadian Broadcasting Corporation. 31 July 2003. Archived from the original on 30 June 2008. Retrieved 2008. ^ Ziffer, Daniel (13 April 2006). "Wiggles wriggle back into top spot". The Age. Melbourne. Retrieved 2008. ^ Dunn, Emily (18 July 2007). "A wobble, but the Wiggles still rule". The Sydney Morning Herald. Retrieved 2007. ^ Bruno, Antony (1 August 2007). "AC/DC goes digital via Verizon wireless". Reuters. Retrieved 2007. ^ "Plug Me In press release". PR Newswire. 24 August 2007. Archived from the original on 29 September 2007. Retrieved 2007. ^ "Rock Band 2 - Unrivaled Song Library". rockband2.com. Archived from the original on 17 July 2008. Retrieved 2008. ^ Breckon, Nick; Faylor, Chris (29 September 2008). "First Rock Band Spin-off Revealed: AC/DC Live Coming As $30 Wal-Mart Exclusive". Shacknews. Archived from the original on 30 September 2008. Retrieved 2008. 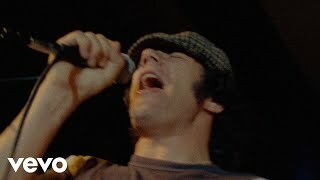 ^ "AC/DC Releases 'No Bull: The Directors Cut". AC/DC.com. 17 September 2008. Archived from the original on 13 September 2008. Retrieved 2008. ^ Kot, Greg (16 October 2008). "Let there be rock! AC/DC recycles classic sound on 'Black Ice'". Chicago Tribune. Archived from the original on 19 October 2008. Retrieved 2011. 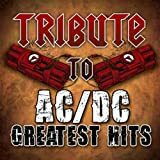 ^ "AC/DC's 'Black Ice' Set For Release 20 October". AC/DC.com. 18 August 2008. Archived from the original on 21 August 2008. Retrieved 2008. ^ "AC/DC wants YOU for their new video". AC/DC.com. 9 August 2008. Archived from the original on 12 August 2008. Retrieved 2008. ^ "AC/DC Announce 'Black Ice' World Tour". AC/DC.com. 17 September 2008. Archived from the original on 13 September 2008. Retrieved 2008. ^ "AC/DC to host their own exclusive music channel on Sirius and XM". Sirius. Archived from the original on 21 November 2008. Retrieved 2008. ^ "AC/DC's Black Ice Rocks into Walmart Nationwide October 20". PR Newswire. 11 October 2008. Archived from the original on 22 October 2008. Retrieved 2008. ^ ACDC.com news.news Archived 4 October 2009 at the Wayback Machine..
^  Archived 25 February 2011 at the Wayback Machine. ^ Downloadfestival.co.uk Archived 19 November 2012 at the Wayback Machine. ^ "Black Ice World Tour". AC/DC.com. 12 July 2010. Retrieved 2011. 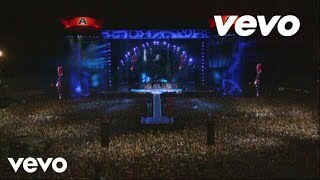 ^ "AC/DC Live at River Plate Available May 10 - NEW YORK, 7 March 2011". New York: Prnewswire.com. Retrieved 2011. ^ "Shoot To Thrill: Exclusive Record Store Day 7" Single, The Official AC/DC Site". Acdc.com. 22 February 2011. Archived from the original on 29 March 2011. Retrieved 2011. ^ "AC/DC Let There Be Rock Blu-ray Announced". Blu-ray.com. Retrieved 2011. ^ "AC/DC Planning New World Tour". Blabbermouth.net. 6 May 2011. Archived from the original on 8 May 2011. Retrieved 2011. ^ "AC/DC To Release New Album 'Within The Next Couple of Years'". Blabbermouth.net. 7 May 2011. Archived from the original on 8 May 2011. Retrieved 2011. ^ "AC/DC: 'Our new album is a year or two away' | News". Nme.Com. 14 May 2012. Retrieved 2012. ^ "LIVE AT RIVER PLATE - FIRST LIVE ALBUM IN 20 YEARS | The Official AC/DC Site". Acdc.com. 17 October 2008. Retrieved 2012. ^ "Brian Johnson: AC/DC not retiring yet". Metal Hammer. 16 April 2014. Archived from the original on 19 April 2014. Retrieved 2014. ^ "AC/DC could tour by end of year". The Telegraph. 20 June 2014. Retrieved 2014. ^ Korina Lopez, USA TODAY (10 July 2014). "AC/DC finishes album; Malcolm Young hospitalized". Usatoday.com. Retrieved 2015. ^ "'We'll all have to be dead before it stops': AC/DC drummer Phil Rudd says legendary Aussie band will NEVER retire as they prepare for their 40th anniversary tour". Daily Mail. 22 August 2014. Retrieved 2014. ^ Korina Lopez, USA TODAY (18 November 2017). "Malcolm Young, AC/DC Guitarist and Co-Founder, Dead at 64". rollingstone.com. Retrieved 2017. ^ "AC/DC to release new album Rock Or Bust as guitarist Malcolm Young retires from band". News.com.au. Retrieved 2015. ^ "BBC News - AC/DC drummer Phil Rudd on New Zealand murder plot charge". BBC News. Retrieved 2015. ^ "What now for AC/DC, after Phil Rudd's arrest and Malcolm Young's retirement?". The Guardian. 6 November 2014. Retrieved 2014. ^ "AC/DC bandmates shun Phil Rudd". The Australian. 14 November 2014. Retrieved 2014. ^ "AC/DC 'had issues' with drummer Phil Rudd". BBC. 14 November 2014. Retrieved 2014. ^ "AC/DC confirm Chris Slade will replace Phil Rudd on their 2015 tour | Music". The Guardian. Retrieved . ^ Kreps, Daniel (21 April 2015). "AC/DC Drummer Phil Rudd Pleads Guilty to Drugs, Threatening to Kill Charges". RollingStone.com. Rolling Stone magazine. Retrieved 2015. ^ "The Band, The Official AC/DC Website". ACDC.com. Sony Music Entertainment. 2015. Retrieved 2015. ^ Shedden, Iain (9 July 2015). "AC/DC drummer Phil Rudd sentenced to home detention for drugs, kill threats". The Australian. News Limited. Retrieved 2015. ^ Roffman, Michael (2016-03-07). 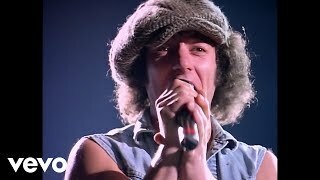 "AC/DC frontman Brian Johnson ordered "to stop touring immediately or risk total hearing loss"". Consequence of Sound. Retrieved . ^ Sutton, Candace. "AC/DC's Brian Johnson says he has gone deaf due to his love of fast cars". Dailymail.co.uk. Retrieved . ^ "Rock Or Bust World Tour Continues With Axl Rose". 16 April 2016. Retrieved 2016. ^ Kreps, Daniel (16 April 2016). "AC/DC Confirm Axl Rose Is New Lead Singer, Joining Band on Tour". RollingStone.com. Retrieved 2016. ^ Foerste, Jonathan (July 2016). "Still Rockin' in Southwest Florida". Gulfshore Life. Retrieved . ^ Buchanan, Brett. "Huge Update On If AC/DC Will Continue With Axl Rose - AlternativeNation.net". 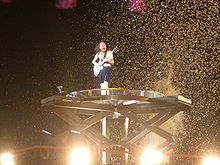 ^ a b "Major Update on AC/DC's Future: What the Band Will Do Now That Cliff's Retired - Music News @ Ultimate-Guitar.Com". ^ "AC/DC". Rockhall.com. Archived from the original on 17 January 2010. Retrieved 2010. ^ "Rock and Roll Hall of Fame open doors". CNN. 3 November 2003. Archived from the original on 3 October 2003. Retrieved 2008. ^ Johnson, Billy (3 November 2003). "AC/DC, The Clash, The Police And Others Inducted into Hall of Fame". Yahoo! Music. Archived from the original on 4 July 2007. Retrieved 2008. ^ "2003 Music Winners Awards Announced". Australasian Performing Right Association. Archived from the original on 23 July 2008. Retrieved 2008. ^ "Next stage in AC/DC Lane proposal wins in-principle support". City of Melbourne. 8 July 2004. Archived from the original on 16 October 2008. Retrieved 2008. ^ Levine, Robert (10 October 2008). "Ageless and Defiant, AC/DC Stays on Top Without Going Digital". The New York Times. Archived from the original on 2 November 2011. Retrieved 2008. ^ Sisario, Ben (19 November 2012). "AC/DC Joins iTunes, as Spotify Emerges as Music's New Disrupter". The New York Times. Retrieved 2012. Lageat, Philippe, Brelet, Baptiste (2014). AC/DC Tours De France 1976-2014. ditions Point Barre. p. 712. ISBN 978-2-7466-7071-6.